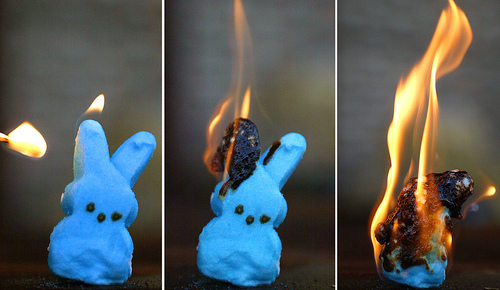 Peep in Peril. . Wallpaper and background images in the کے marshmallow, مآرشماللو Peeps club tagged: marshmallow peeps image funny peril fire burn.